Riversedge Resorts brings in a unique addition to the resorts near Chikmagalur. While nearly every other resort near Chikmagalur is focused on nature and luxury, Riversedge Resorts is unique in their ecology and wildlife conservation efforts and ecological consciousness. The resort encourage guests to re-use bed linen and towels so as to reduce the impact on the environment. “Recycle, re-use and reduce” the mantra of all ecological conscious efforts is the mantra at Riversedge resorts. Riversedge resorts are a part of the Waterfront Resorts and Properties limited (WRPL). All the resorts owned by the company are located in and around ecologically sensitive surroundings. The company is a staunch believer and supporter of ecological tourism. With their sights set on conservation efforts, the company is sure to inspire every traveler to do their part in saving the pristine qualities associated with nature. 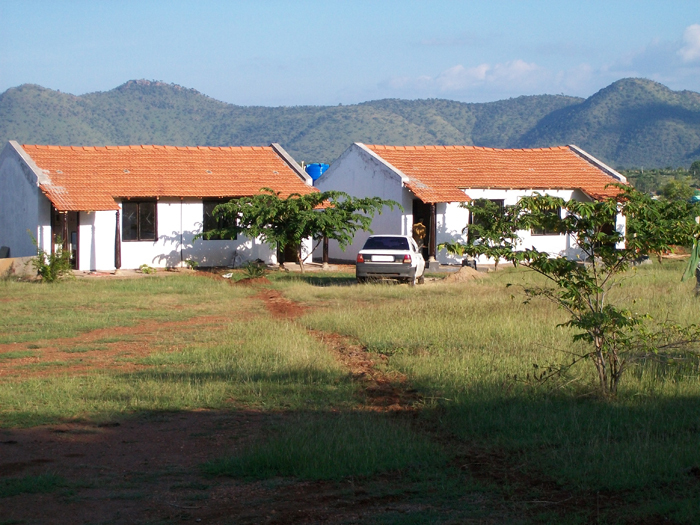 Nearly every resort owned by WRPL is a waterfront property across Karnataka, Chikmagalur and Goa. The conscious efforts of the company to bring the local flavor into a vacation is evident in the architecture of the resorts. While being ecologically conscious, the company does not compromise on providing a luxurious vacation setting to each of their resorts. The tagline of Affordable luxury is befitting to the Riversedge resorts. The resorts offer different types of accommodation. The highlight of the Riversedge resorts is a 2600 square feet villa that can easily accommodate six people. Large families and groups of friends can revel in the luxury and the space that the villa affords guests. Apart from the villa, log cabins and cottages are available. Like all resorts near Chikmagalur, the Riversedge resorts offer transportation to and from Bangalore and Mysore at a fixed rate. The luxury and point of difference from other resorts near Chikmagalur comes from traveling in a comfortable 4×4 SUV. The resorts offer camping, wildlife safari and fishing trips from the resort at a cost of Rs. 14/km. The riversedge resorts may be contacted at their Bangalore office in Indiranagar. The Riversedge community is located a hundred and twenty kilometers away from Bangalore off the Mysore highway. The addresses for the individual resorts at Chikmagalur, Shivanasamudra and other popular tourist destinations may be retrieved at the time of making reservations. The Riversedge resorts offer their own transportation from and to Mysore and Bangalore. The resort near Chikmagalur may be accessed by public transportation. Buses frequently ply the road between the major cities along the route to Chikmagalur from Bangalore. he closest airport would be Bangalore International Airport. Private taxis and rental cars are easily available to and from Chikmagalur. The route is an easy drive as the roads are well-paved and is even scenic as one gets close to Mysore and Chikmagalur. Nature camps – The resort offers campsites close to the resort. The visitors enjoy living close to nature while not compromising on luxurious amenities. Nature walks and trekking – Guided paths and treks take the visitors up close to the pristine untouched areas surrounding the resorts. The naturalists and guides are knowledgeable and aware of their surrounding and are more than willing to answer questions about nature and wildlife. Safari and river cruise – Boats with electronic motors is just another way that the resort reduces the environmental impact while still giving the visitor ample ways to feel close to nature. Adventure sports – For the adventurous visitors, the resorts offer a variety of activities that get the adrenaline flowing. River rafting, trekking, rock climbing, boating, canoeing and swimming in the rapids are just some of the activities on offer. Angling – Riversedge has exclusive rights for a 7 kilometers stretch of the Cauvery River. This stretch allows the resort to maintain and upkeep the ecological health of the river. The resort offers the services of a local guide who is well versed with the waters and catching the mahaseer. The diminishing numbers of the Mahaseer however warrant the catch and release system advocated by the resort. The tariff at Riversedge resorts is affordable on many budgets. The tariff is dependent on the number of people staying and the type of accommodation chosen. Villas are at the upper end of their rate card at three thousand rupees per night. The villas however are spacious and accommodate up to six people with ease. The log cabins and cottages are designed for two or three guests maximum. The group cottage accommodates four people. Children between the ages of 6 and 12 are charged for every night of stay. The rates are exclusive of food and beverages. Extra beds are provided at a cost of 500 rupees per night exclusive of taxes. Reservations may be made online or via phone from Monday through Sunday between 9:30a.m and 5:30p.m. Refunds on cancellations are not applicable if the cancellation is made 48 hours before the expected check-in time. If a cancellation is made 4 days before the date of check-in, half of the total amount is then refunded. Telephone – +91 80 4212 733, +91 80 4113 3222, +91 99860 10260.